With no stop, the monarchies of the Gulf run towards normalization with apartheid “Israel”. “The Arab ministers agreed that it is the right of “Israel” to defend itself against the Iranian “aggression”,” Netanyahu declared, as he revealed that he had secretly visited four Arab countries that have no official relations with “Israel”! Quickly, the head of the Saudi diplomacy obeyed his master: “It is impossible to achieve stability in the region without peace between the Arab countries and “Israel”. Every time we go in this field we face bad behavior from Iran,” Adel Jubeir blatantly said. Similarly, former Saudi intelligence chief and ex-ambassador to the US has given an unprecedented interview to an “Israeli” TV channel that was broadcast just hours after Netanyahu met with the Omani foreign minister in Poland. In an interview with “Israel’s” Channel 13 news, Saudi Prince Turki bin Faisal Al Saud said that Saudi Arabia and “Israel” have the funds and political means to work together. And following the traces of the Saudis, Emirate urged the “Israelis” to bet on them. Meanwhile, the Bahraini representative chose to express more sympathy with “friendly” “Israel”! 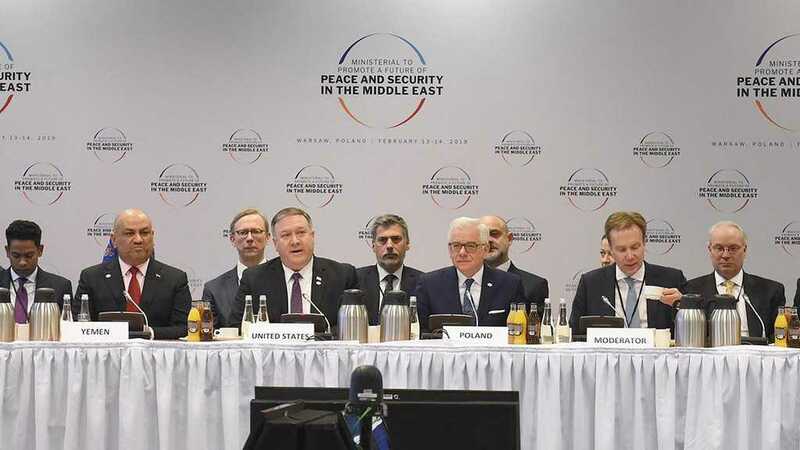 “Israel” released a video of a closed session at the Warsaw security summit in which Bahrain’s foreign minister says Iran is a bigger threat to Mideast security than the “Israeli”-Palestinian conflict. Iran: Warsaw Meeting a ‘Total Failure’ More..